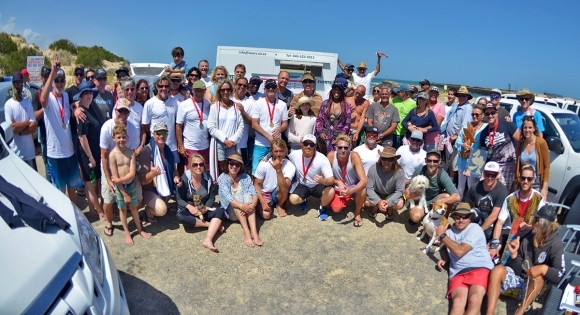 Multiple world champions, US champs and SA champs attended the first SA kneelo champs in maybe 15 years, and that was just Gigs Celliers, writes Lawrence Atkinson. "Do kneeborders want to compete in a South African Championship event?" some asked. A Facebook poll said: "Maybe!" So, with an eye on the World Kneeboarding Championships scheduled for New Zealand in 2020, the first SA Kneeboard Championship was held in probably 15 years. Held just before the silly season in Port Alfred, some guys had a little trouble with the age divisions. Stephen Cruickshank said, "I don't want to surf Veterans, they are old." (He's a Veteran). The age groups are kind of fun ... even unusual. Take the Immortals and Kahunas for example: anyone aged "64 to the end of time". Everyone had the option to enter into their age division and if they paid extra, they also got to enter the Open Division. But how many kneeboarders would want to come up against the legends of the sport such as Gigs, Stevo the Kneelo, Jedd McNeilage, Mike Ruthman, Mike de Heer, Adam Skilpad Shapiro and Roman Rezac? Now remember that as a satellite, niche group of hardy wave riders, kneeborders have a reputation for being different. This rag tag bunch are a little bit about counter culture, a little bit about soul surfing, and a lot about wave riding. There is a core who live for the spirit of it: the kind who frown on the idea of putting a coloured vest on. Well, we had a full house. Those who paid extra for the honour of competing in the Open Division numbered 32. Watch out Gigs. 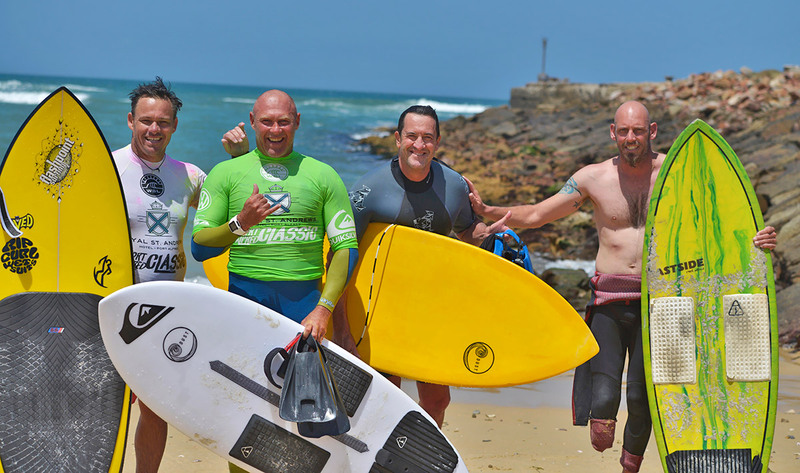 The two-day event was hosted by Mickey Witthuhn and the Kowie Boardriders Club. And what great hosts they were. Most surfers hate the idea of a contest at 'their spot', but Kowie rolled out the red carpet. Blessed with a three foot south swell and a nicely lined up sand bank, competitive kneeboarding brushed off the cobwebs and got on the game. By day two and the sharp end of the contest, the smiles and camaraderie on the beach was deeply moving, and the snarls and slit eyes in the water to be expected. The use of the priority system kept things decent. Although Marc Barry, who won the Senior title, said: "It was strange to surf under the priority system, I preferred the old-fashioned hustle." The beach was awash with the white contest T-shirts sported by a tidy group of Eastern Province kneelos who had T-shirts emblazoned with a design by Stevo the Kneelo, an artist based in Jbay. Was this a return to the good old bad days of provincialism in the late 1990s? Could this mark a return to the feral ways of the Lord of the Flies? But there was no Ralph or Piggy here. Maybe we would be okay. Maybe. The youngest competitor was 25-year-old Chris Rosie, who won the Junior Pro division. He's been surfing and kneeboarding since he was five. 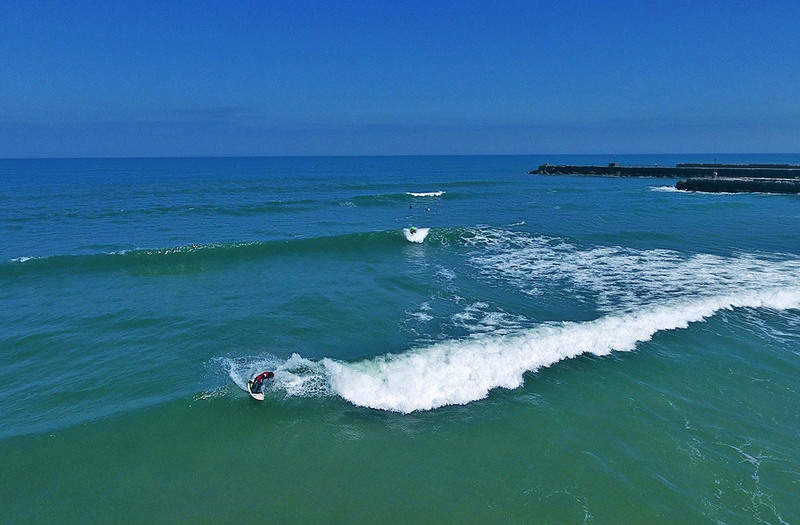 A regular on the Indo run, he knows the SA coast well. He's a hardened sportsman in ball sports and martial arts. However, contest surfing is new to him. "I loved the priority system. 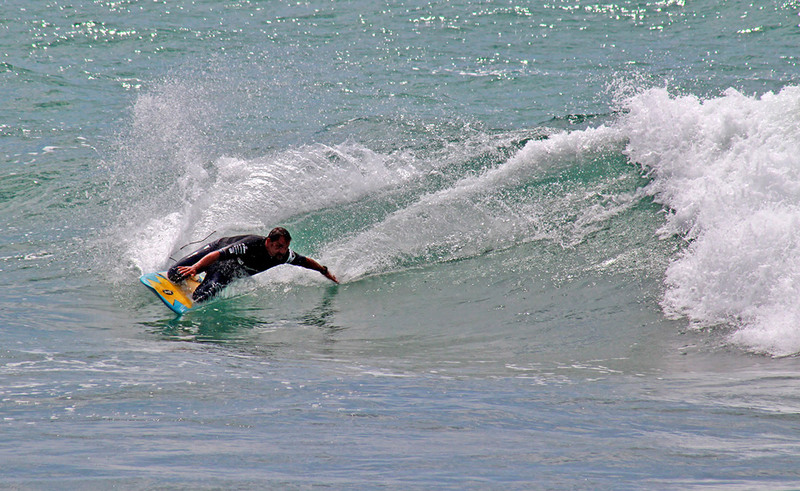 SA surfers can be aggressive in the water. Well, not so much in the Cape. There they know me. I've earned my place." While he was pleased to win the Junior Pro, his heart was on the Open. "I wanted to surf in the Open Final, I wanted to compete with Gigs, Adam and Jedd. I wanted to win." He'll need to wait for 2019 for that pleasure. The talk of the event was firstly Adam Shapiro, a once or twice a year kneelo when he surfs Pasta Point in the Maldives. In the two biggest divisions (Open and Grand Masters) he had tongues wagging. Secondly, discussion centred around the general standard of kneeboarding and how exciting it is, and whether competitions are needed. The Open finals was an all-star event, and the beach were evenly split on who took the win. It came down to Adam and Gigs, and Gigs once again showed why he's number one in so many events around the world. When Adam was asked about his showing in winning the biggest age division, Grand Masters, as well as silver in the Open, he said: "It's the best result I've had since I won the national team trials in '91. I surprised myself. There was a good energy in the water and everyone was riding the vibe from the beach. A good blend between a social gathering and fierce competition. The guys were hooting for each other's waves." Stephen accepted that he was a Veteran and joined the fray. "The priority system was more difficult to surf with than it was when watching others on TV. There is more to think about. It does however limit the hustling." Then he gets a silly smile on his face, "We used to be 'little mean buggers' in the water." This mean bugger won the Veteran division. So, do kneeborders want to compete? The answer is an easy, Yes! I grabbed a quick phone interview with Gigs after the weekend. "I can't remember getting so much pressure in a local event before. I won the SA's because I arrived with six boards. Like golf clubs, it's one board for the fairway and other for the green. One board for 1ft slop, another for 3ft and a third for 6ft hollow." "Now we need to build for the World's in NZ and to take on the Ozzies." "2019 is all about building and preparing. About bigger events, better gatherings. And about training the guys in competitive surfing. South African kneeboarding is in a good place." Gigs concluded. ISA World Kneeboard Champs Dunedin, New Zealand, 29 Feb - 7 March. The World Kneeboard Champs are held every two years in different countries. In 2015 the champs were held in Kiama in New South Wales, Australia. Gigs Celliers and Marc Crawford were the only two local kneelos to make it to the event. Gigs made it to the quarter finals in the Open Division and Aussie Albert Munoz took the gold in the finals. In 2017 they were held in Cantabri, Spain. Marc Crawford was the only SA kneelo to make the trip and the event was won by Aussie, Michael Novakov who had previously won the 1982, 1984 and 1986 World Championships. A three year gap sees the next event in 2020. Interest levels world wide are as if this is the first World's ever. SA needs to respond to this need and create activities that will focus and develop the competitors, preparing them and getting them ready for the big stage.